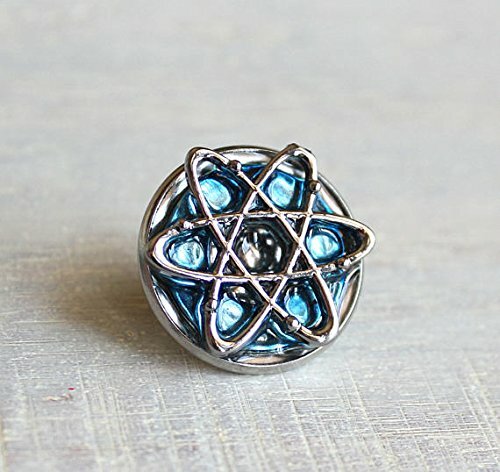 Cool atom tie tack in ice blue and gunmetal. This beautiful and unique tie tack will be a wonderful gift for yourself or someone you love. This can also be worn as a pin, make sure to check the measurements as it's a little larger than a regular tie tack. Measurements: Atom pin / tie tack is 0.75 inch (1.905 cm.) around.